Since we started the adventure of WUJI HOUSE, we wanted to create a home for us and for all our collaborators. 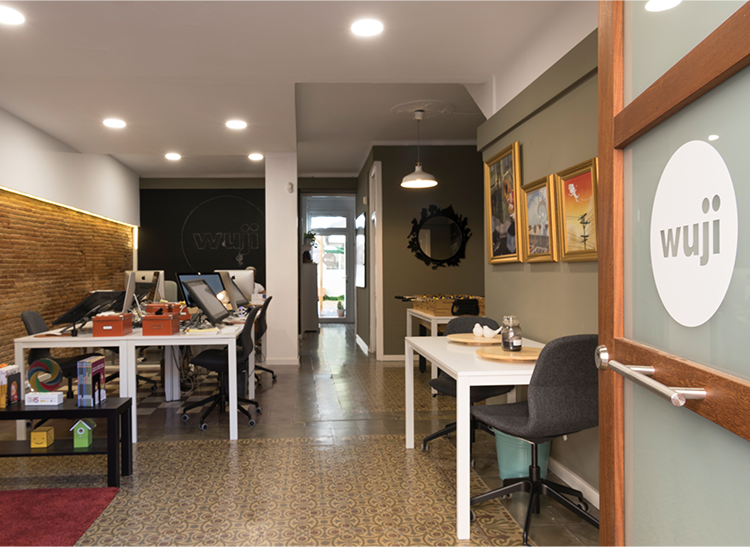 Our office, in the neighborhood of Gracia (Barcelona), has been created from the needs and tastes of our entire team, because we believe that go to work should be a good experience, full of companionship and creativity. So we can say that WUJI HOUSE is our house… and yours too! And you are welcome.